A haul out at Jarrett Bay Boatworks in North Carolina, a highly regarded yard, well known for quality work. We did a bunch of research over the years to try to work through the elusive and very subjective nature of cruising costs. The question gets asked over and over, and people just getting into cruising want to have some idea of how much it all costs. That adage that if you have to ask how much it costs, you can’t afford it is total baloney. Every “wealthy” person I have known knows exactly how much everything costs, and is never surprised when handed an invoice. I read somewhere that wealthy people plan for future generations, while the rest of us plan for Saturday night. That is closer to the truth, in my experience. How else do so many people run up enormous credit card debt? Let’s start with the boat. Beyond the original purchase price, whether it is new or just new-to-you, you will spend more money after the purchase outfitting it, fixing what doesn’t work, and bringing it up to your level of satisfaction for cruising. Does it need a new dinghy and outboard, and/or updated electronics? If you just bought a new-to-you boat, I can pretty much guarantee stuff will break immediately. 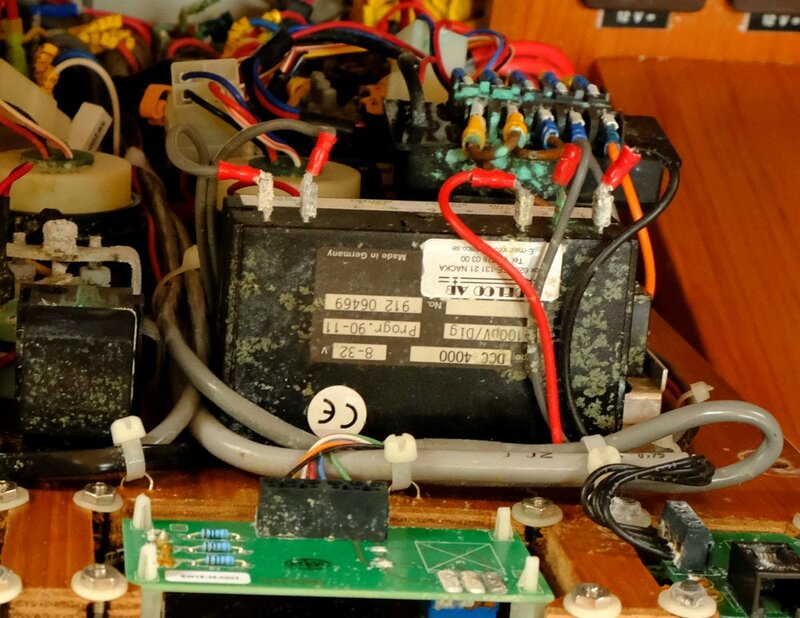 Perhaps the previous owner used chewing gum to seal that leak or neglected a repair or put off maintenance long enough that once you got aboard and started using the boat and its systems, things simply let go. Ten-year-old hoses crack and leak, fittings and electrical switches corrode, unused pump lose their mojo, and plastic and rubber parts get brittle. There is serious corrosion on the back of this electrical panel, a result of salt water getting in the boat. Would it show up in survey? The early stages of one’s relationship with a new boat will cost more money…for awhile. Especially on a larger, complex yacht, where the punch list can be many pages long. However, once the gremlins are discovered and corrected, what should one consider as a useful number to factor in ongoing maintenance? Many experienced boat owners and brokers have suggested over the years that 10 percent of the boat’s value is a reasonable number to allow for these annual expenses. In countless seminars and workshops, this 10 percent number seemed to stay consistent. I might suggest that the new-to-you boat might cost more like 20 percent for the first year, as you work out the issues and decide what needs upgrading, but then settle down to 10 percent or less. Again, we are talking about ongoing maintenance, not consumables like fuel, filters, and provisions. Experienced trawler broker, Jeff Merrill, believes 10 percent is on the high side. He contends that once you have made it through your first year, you will likely spend more like three to four percent of the boat’s value to keep it running, especially if you are actively using the boat. Notice I have yet to distinguish between a cruising sailboat and trawler. That is because in reality the operational costs of similarly-equipped boats are much the same. Aside from the obvious increase in fuel used by the trawler, which offsets a sailing couple’s desire for a new set of sails. The rest of the systems, such as pumps, HVAC, engines, steering systems, autopilot, windlasses, water and electrical systems seem to balance out. Generators need to be maintained on every boat. What does set them apart is that the trawler owners tend to take advantage of the extra space and add additional gear and equipment on their boats, more so than the sailboat owners. Washer and dryer, stabilizers, sophisticated navigation systems, watermakers, water toys, domestic refrigerators and dedicated freezers, and other comfort systems. These certainly do tip the scales to increase ongoing maintenance on the trawler. In the next part of this series, let’s take a look at the monthly expenses a cruiser can expect.